If you are considering embarking on a landscaping project for your property in Creston, Wadsworth, Strongsville, Medina, Norton or Wooster, you must be on the lookout for a company that will be able to provide you high quality services at low landscape design cost. We at Stoney Creek Landscaping are one of the leading landscaping companies in and around Barberton, Seville, Orville, Brunswick, Cuyahoga Falls and Green. 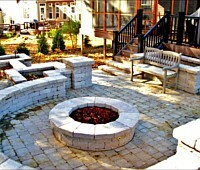 For high grade landscape installations at very competitive pricing, call Stoney Creek Landscaping at 330-466-3181. If you prefer to contact us via email, please send us your queries via this online form. You can also request an estimate via our home page and we will respond shortly.